Collagen injections is nothing new and has been around for several decades, predominately used to treat facial skin imperfections such as wrinkles, crow’s feet, and just about any other creases that appears on your face. Other uses for collagen includes creating more plump lips as well as cheeks. It’s not uncommon for people who use collagen injections to also get facelifts or even laser skin resurfacing treatments to try to further enhance their youthfulness. Now with all that being said, like with any other form of treatment there’s always a risk involved, and that also includes collagen injections. Injections have been proven ineffective/dangerous compared to collagen supplement use. 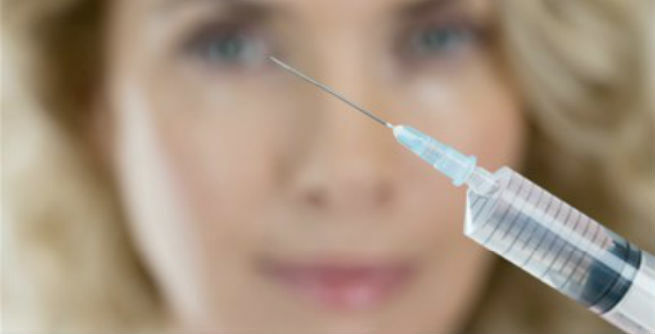 Injections only cover a small surface area where as taking a supplement effects the whole body and distributes the collagen in all needed areas, so not only would you get the same benefits that you would get from using injections, but you get the added benefit of the collagen being distributed throughout your body as opposed to only your face. I’ll explain further. Now before I continue. I’m assuming that you already know what collagen is but for those who don’t, I’ll explain. Collagen happens to be one of the most abundant proteins within the body, it’s in our organs, it’s in our skin, hair, bones as well as cartilage and tendons. The body produces around 27 different types of collagen. When people get older and they start to age what happens is our body start to produce less collagen. As this occurs, we start to develop wrinkles all over our bodies, and the less collagen we produce, the more wrinkles and sagging we develop. Study’s shows that by the time we hit 20 every subsequent year, we lose 1% of collagen. This is why scientifically speaking collagen supplements would outperform collagen injections in the long run. You see, the body has his own intelligence, when we supply the body what it needs it automatically knows what to do with it assuming that what we supply is organic in nature. When we supply the body with inorganic materials. The body has a natural tendency to try to fight it off because the body doesn’t like foreign substances being entered into it. This is why if you perform a search on “Botox immunity “you’ll see numerous people complaining about they no longer see benefits from using it even in large amounts. This is due to the body’s natural ability to fight off foreign substances. Just like when you get a cold, it’s not possible to get the same exact cold twice because your body has already learned how to fight off that virus. As you can see the after photo’s simply look horrendous and this is a direct result from injections. According to the dailymail, she stated that “this has left her suicidal and depressed”. So you have to ask yourself, can you live with then possibility of things going wrong? Because what ever happens you’re going to have to live the rest of your life that way. Also because doctors use bovine sources for collagen injections, any illness that the cow may have had such as a mad cow disease could possibly be injected directly into your face. Also some doctors use collagen derived from dead baby fetuses, not only that but some collagen cream manufacturers also use dead baby fetuses within their products which has since sparked a lot of outrage. I don’t know about you but I don’t want the above-mentioned to be injected into my face, or other parts of my body. Despite the injections being inferior to the supplements, the price is almost 7 to 10 times higher than what the supplement would cost you. For one injection treatment you’re looking to spend over $700 and the average person has to go through three different sessions to see significant results. So you’re looking to spend upwards of $2100. Not to mention most insurances don’t cover cosmetic issues so most of that if not all of that will be coming out of pocket. For that amount of money, you can get a two-year supply of collagen supplements such as Skinade, which is considered to be the Rolls-Royce of collagen supplements. Not only that but it’s been scientifically proven to actually work not only on your face, but throughout your whole entire body which brings me to my next point. Like I mentioned early on an article, our entire body contains collagen and by getting injections as opposed to using a supplement all you’re doing is putting a Band-Aid over the problem. Remember wrinkles and sagging is a direct result of your “body” not producing adequate amounts of collagen. When you take a supplement you’re simply replacing the collagen that your body is no longer producing and thus getting to the root of the problem which leads to a gradual reduction of sagging and wrinkles. For Type I & III I recommend that you check out the Skinade brand of collagen due to the fact that it’s one of the highest quality Marine based bio-available collagen supplements on the market. For Type II you’re going to be forced to use a bovine source of collagen and there is currently no other better source than what’s offered by the company vital proteins called “Dr. Kaayla Daniels’ Vital Proteins Pasture-Raised, Grass-Fed Cartilage Collagen”. As the title suggests, this supplement is derived from grass fed pasture raised cows. So there’s no need to worry about ingesting supplements which might be derived from cows with mad cow disease or other ailments. At the end of the day, the choice is yours as to which path you want to take, I highly suggest you take the organic approach as it’s much safer and the results are long lasting. Just make sure to take your own before and after photo so that way you can see the progress as you go along. I use collagen supplements every day and I cannot say enough positive things about it. At the end of the day, if for whatever reason the collagen supplement don’t work for you (I don’t see why not), you can always go with the collagen injections at a later date as long as you are conscious enough to live with the optional risk associated with it but again, this should be your LAST RESORT not your first.